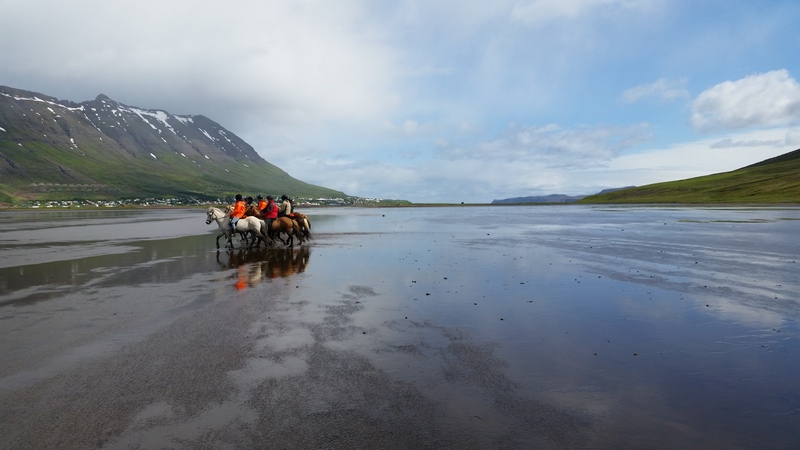 Skorrahestar offers our guests to experience the Icelandic horse in its natural habitat. We offer this unique opportunity for individuals, families and/or couples to stay with us at Skorrahestar. Riding everyday on horses especially chosen to fit your abilities and skills. Suitable for novice to experienced riders. Riding time per day varies between 4-8 hours. Swimming pool and hot tubs after the day rides included if interested. Rain wear, saddle bag and a riding helmet is included.